This is a demo and tutorial from masterxeon1001 about the Blender Addon Hardops which is in version 0.0.6 now. As the name of the addon implies it’s an extension for hardsurface modeling with Blender, but it also offers a lot of other great stuff for example listing all available materials to apply them for selected faces or objects. In the video masterxeon1001 is starting with the default Blender cube and turns it into a kind of driving sci-fi vehicle by using the HardOps addon. There are a lot of beveling options in it, it simplifies boolean-operations and you can also use many default hardsurface shapes which come with Hardops. 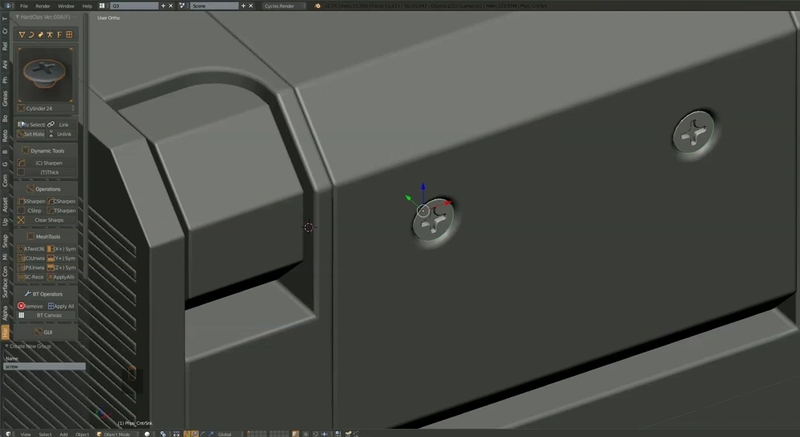 I really think that this addon makes hardsurface modeling with Blender unbeatable compared to other 3D modeling tools, try it, it’s great and free.